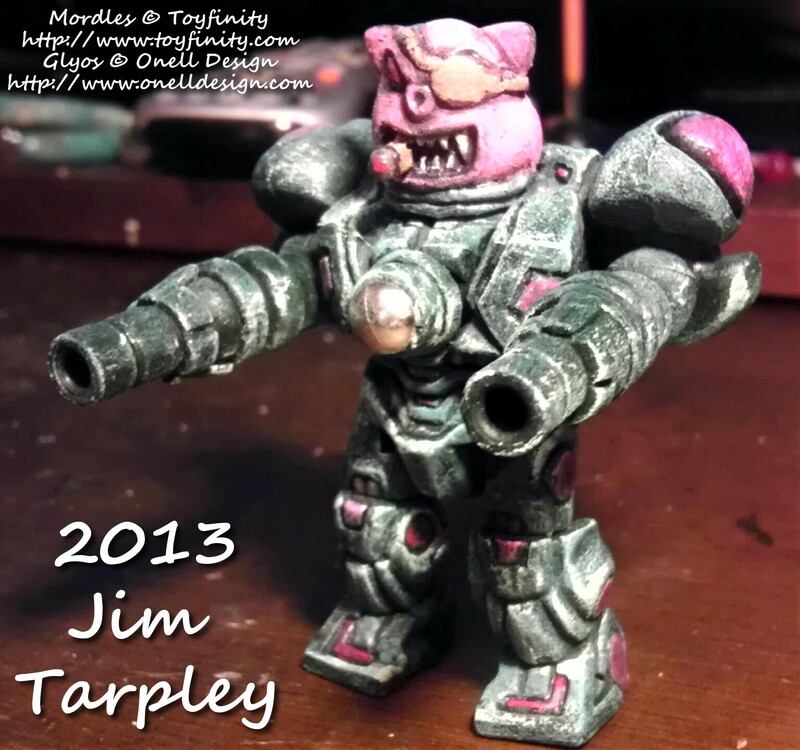 Pinky was a regular garden variety Mordle until the day he crossed paths with an Armorvor scout party who found their way to the planet Uzalek. Having lost his eye saving their lives from an ambush by savage predators disguised as rocks, the wolf-like creatures rewarded him with his own black core armor, specially modified for a Mordle, which he dubbed the Mord Engine. Made from a Glyos ArmorVor, a Toyfinity Mordle, and various other Glyos bits. Hand painted and clear coated.